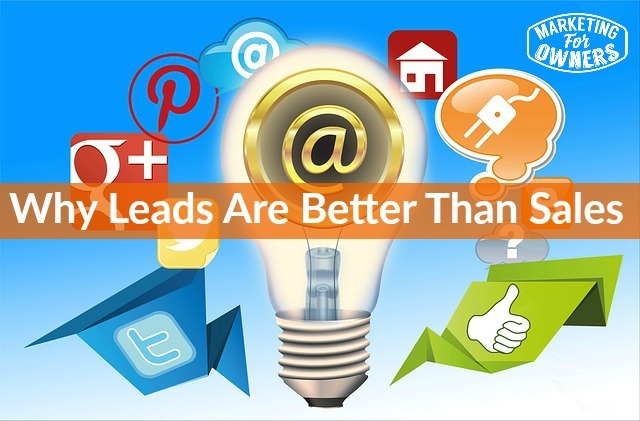 How on earth can leads be better than sales? Well, they are, so let me explain. If someone comes to your website, they are attracted by the lovely wonderful content that you’ve developed. However, they’re not actually ready to buy something today, so off they go and that’s it, that’s the last you hear of them. Because when they’re ready to buy in two months time, they’ve forgotten where they learned all that expertise. They know the facts, they know what they need, but they’ve forgotten where they got it. They look it up again and another article, another name appeals to them, you’ve set the scene, someone else reaps the benefit. Of course, when they arrive at your website, they may be ready to buy, that’s fine and then off they go, they buy it, they’re done. But, I’ll point out this little fact, that around 98% of those people are not going to buy from you unless you are Amazon; they’re not ready or they don’t trust you, there’s something about it. So what do we do with those? We capture their name and e-mail address or at least their e-mail address and they become a lead, they get added to a database by using an e-mail service provider. You don’t do this yourself by the way. So use someone like Mail Chimp or AWeber or Infusion Soft or Convert Kit, Get Response, I-Contact, there’s a ton of them. We use AWeber we also use, Mail Chimp, by the way. But you capture them, they automatically get added to a very safe, very secure e-mail list database and then you can contact them from that. You can find more email marketing tips here on our resource page. Now they must have, to comply with you adding them and sending them things. They must have the opportunity to unsubscribe, they must know who you are, all that information is automatically included by a professional e-mail service provider. Of course you’re going to think, “I don’t want them to unsubscribe”, it’s their choice, it’s not yours. If what you’re supplying them is rubbish or garbage to them, they want to get off it same as you do when people do it to you, so have some respect. But you have the opportunity now, since they’ve given you their e-mail address. You have the opportunity to get them to know you, to like you and trust you, you have the opportunity to teach them more of what you know. So, remember I said, they’ve come to your website, they’ve watched your video, they’ve seen your pictures, they’ve read your how-to, your articles, just do more of that. You may have a massive library of resource on your website, there’s no way they will have read all of that, you can also point them to helpful articles, you can send them through a series of information. Let me give you an example. As you know, I sell fire extinguishers, so if someone comes and they are not ready, we tell them how they can choose a fire extinguisher. I’ll tell them about the different types, tell them the advantages of one type over the disadvantages of another one, tell them what to expect on pricing, what things cost, tell them what happens when, once they’ve bought something when it arrives, explain about their responsibilities and regulations, how it affects their insurance, how when they need maintenance what’s involved in maintenance. What’s the life expectancy, over the long term, what are they ongoing costs of maintenance, replacements, refills, etc. All of this and more and then demonstrations on this against that and all these things can be dealt with via e-mail; it’s called e-mail nurturing. And then when those people are ready, you are on their mind. Remember, they’re going to be buying it in two months time, you don’t know that, you have to take the opportunity when it arises. That may tempt someone because here’s something else, people don’t tend to buy products, people buy opportunities. This is a lesson I learned very early on when mixing with eight figure and above marketers on a special weekend retreat, it was never “What are you selling? How are you selling it? ” Just simply “What is your offer?” And that’s it, simple as that. So, remember some people are right at the moment, they want to buy, give them the opportunity. But for the vast majority, no they are not, give them something in exchange for permission to market to them. Give them an e-book, a course, a video series, something like that when they enter their e-mail address and then you’re off and running. In actual fact, if you want to see how that works, if you go to marketingforowners.com/71, then it’s no harm, it’s a very good e-book that’s been downloaded maybe 4000 times, very popular. Do that and you can see how this works, you can apply what we do. We’re supposed be pretty good at this, so see how we do it. You won’t be made to buy anything, don’t you worry, no cards, no addresses, no phone numbers, no nothing; just see how it goes. You can try it for your business. 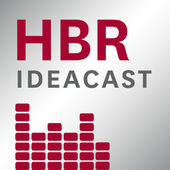 Anyway, this is a Thursday, it is time for a drive time podcast and today, this is one of the all-time top business podcasts, it’s called the HBR Idea Cast –Harvard Business Review podcast. Their website is hbrideacast.org, as simple as that. Harvard Business Review, obviously been around a long time. I recommend you do that. Just go look up HBR Idea Cast on iTunes and you’ll find it. And when you do listen, try giving them a review afterwards. With ours, we have a special gift for you, so if you go to the marketingforowners.com/freebook, we explain how if you want to tell us your opinion, we will give you a free book from Amazon sent to you at our expense anywhere in the world. Go, take advantage of it. I will see you tomorrow on episode 300!